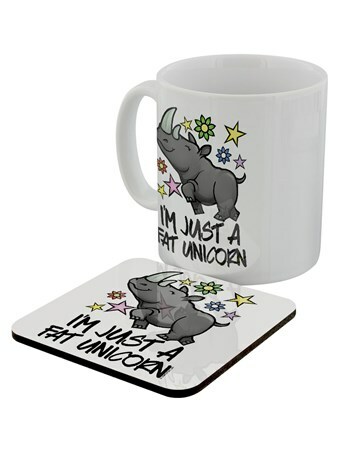 Pudgy and proud, this chap is nothing less than a fabulous unicorn! Just because his horn isn't sparkly or he doesn't have a flowing golden mane, it's not stopping this Rhino come mystical creature feel magical. Perfect for a cheeky reminder that anyone can shine, you just have to believe it. 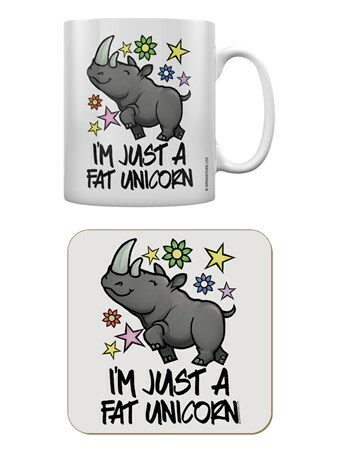 High quality, framed I'm Just A Fat Unicorn, Pudgy and Proud mug set with a bespoke frame by our custom framing service.